Parisian fashion is always an inspiration for our buyers who look for feminine and elegant pieces to stock our shelves! It’s pretty difficult to pick our favorites this time around, because our A Parisian Affair collection is full of the prettiest chic pieces. 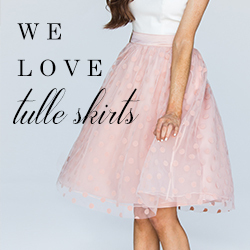 Check out our new arrivals of cute, feminine clothes to get your hands on our new tulle skirts and lace tops that will make you feel like you’re walking the beautiful streets of Paris! 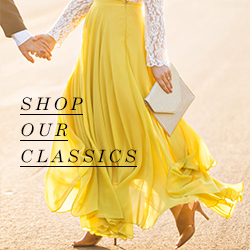 Don’t forget to sign up for our newsletter here for the first look at new arrivals and styling tips! 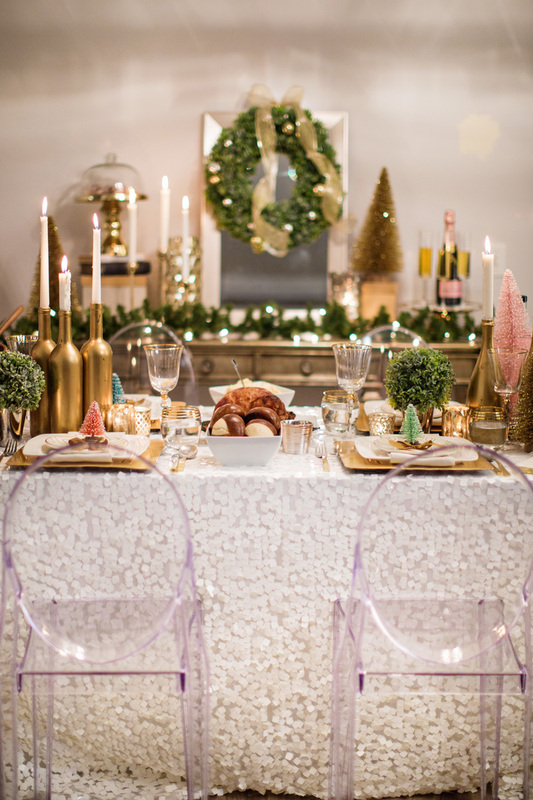 We still can’t get over all of the glitz and glamour from our Holiday Lookbook Video! One of our favorite scenes from our video is the sweet and uplifting dinner scene between Summer and her girlfriends (if you don’t know what we’re talking about, see the video here!). One thing we love just as much as dressing up is decorating! 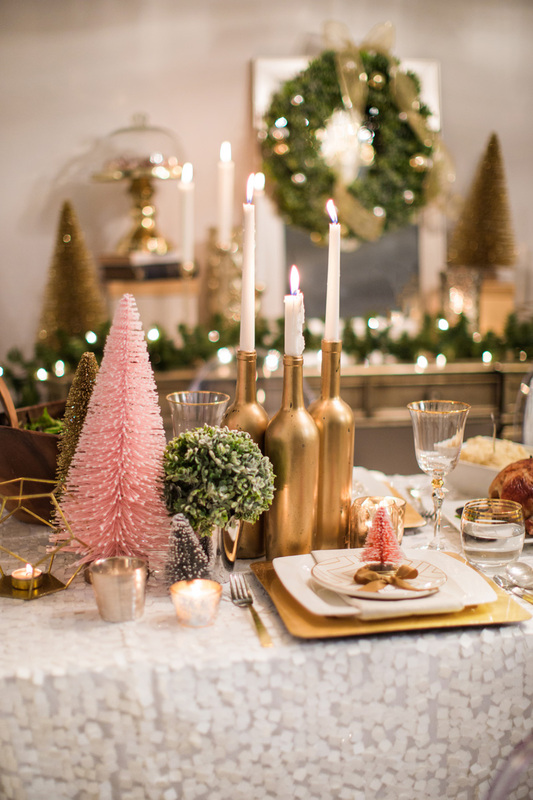 We loved coming up with a chic, feminine holiday tablescape and wish we could have it up all year to host all sorts of dinner parties and maybe even a really fancy brunch every now and then ;). With only so many days to show off your hostess skills, you’ll definitely impress friends and families with these new tricks up your sleeves! 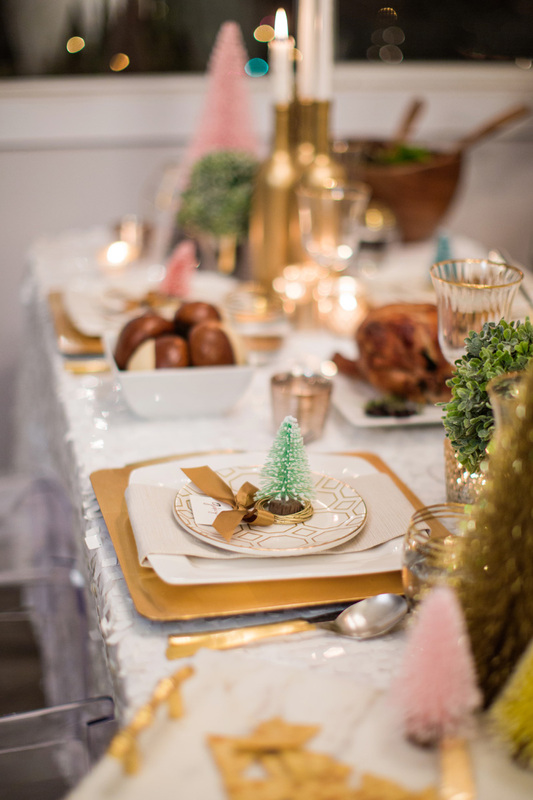 Here are a few tips for those of you planning the perfect holiday tablescape and are looking for quick and easy ideas! Since we were already stocked up on gold-adorned candles, glasses, cutlery – most of which from our favorite home stores like Target and HomeGoods. We also crafted some DIY candleholders made from old wine bottles, which we of course spray painted gold (our favorite thing to do apparently ;). 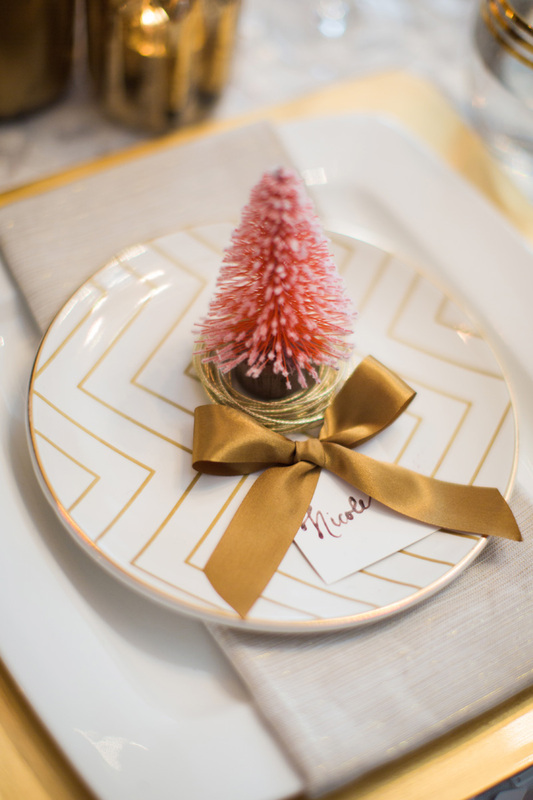 For our place card holders, we used mini christmas tree decorations to add a pop of color, and placed them inside gold napkin rings! It’s an easy way to make something look a little extra fancy, and hand written cards don’t hurt either! We chose a white sequin table linen for a clean canvas that resembled a snowy backdrop! We rented this particular one from Mod Mix Studio. 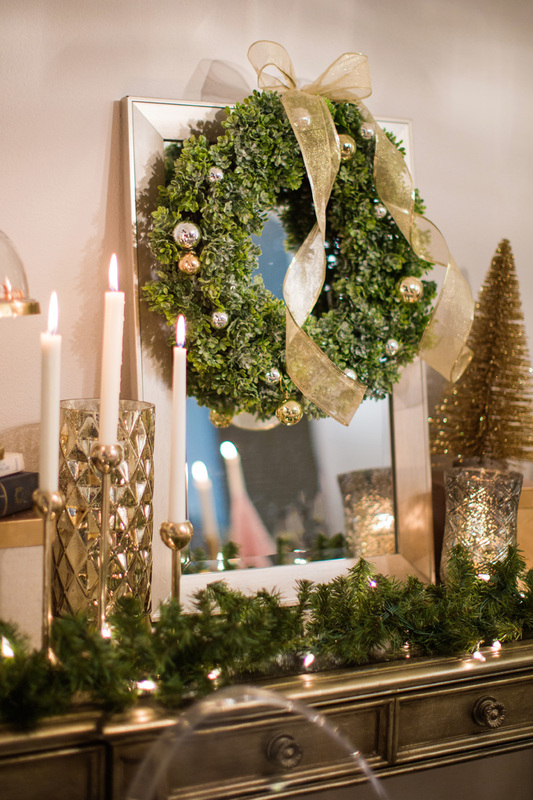 We wanted to include some finishing touches of traditional Christmas greenery so we added a wreath, garland and some faux plants from Target to complete our perfect Holiday tablescape. Don’t forget to sign up for our newsletter here to stay up to date with all of our gift guides, holiday styling tips, and sales for the holiday season! Also follow us on Pinterest to see what inspires us! We couldn’t think of a better way to end the year than with our biggest and boldest collection yet. 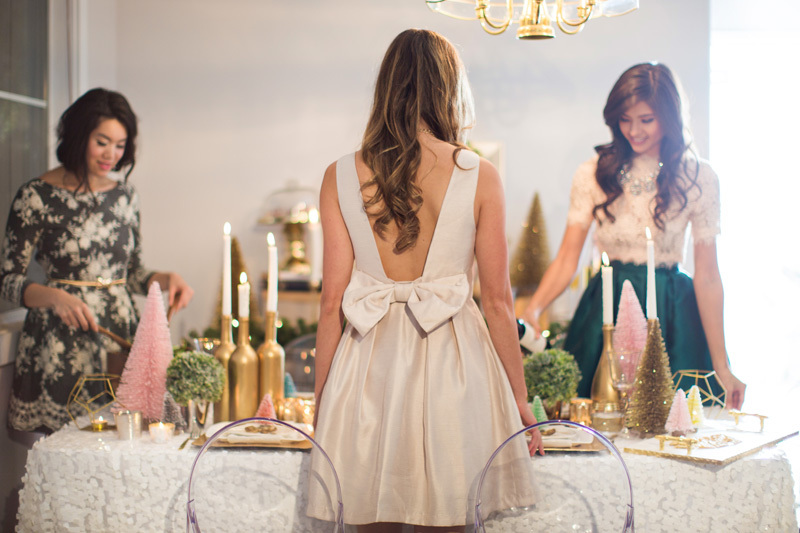 Our Holiday Collection has everything from sequin gowns to cozy sweaters and jewelry to match! We can’t believe how fast the year has gone by, and are so excited to celebrate our favorite holidays of the year: Thanksgiving, Christmas, and New Years! We know how difficult it may be to find the perfect outfits for each occasion, so we put together some of our favorite festive looks. After all, a year of hard work deserves plenty of down time and celebrations whether it’s sitting by the fire with your loved ones or having plenty of girls’ nights out. We created something new for this Lookbook, and produced a video to showcase our clothes in action. Our Holiday Lookbook Video shows the sweet story of Summer’s girlfriends trying to cheer her up after a saddening breakup with her long time boyfriend, Brad. Share your favorite looks from our video with us by tagging #MLTheTree on Facebook and Instagram! We just released our Fall in Love Lookbook featuring our favorite romantic Fall looks, and we’re still head over heels for all of our new arrivals! This Lookbook brings together the best of soft pastels, romantic lace pieces, tons of chic layering, and our new favorite sweaters and outerwear. 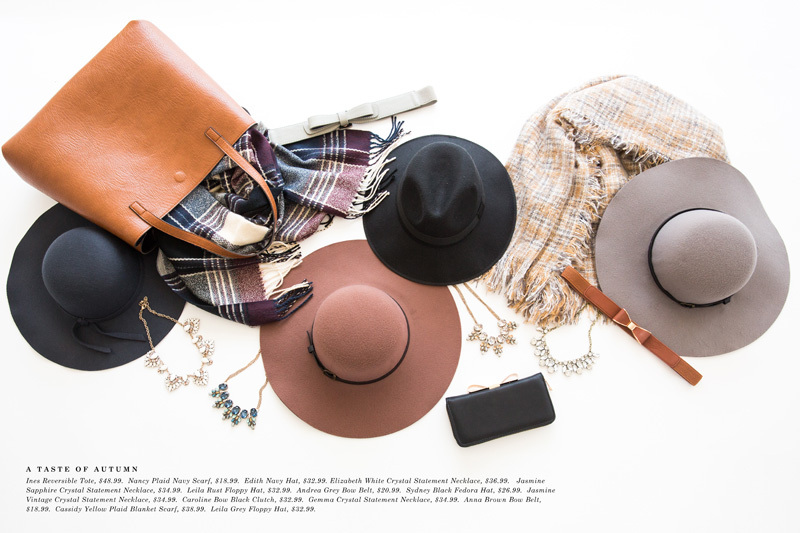 Let’s not forget about all of the cute new accessories we have in store either! 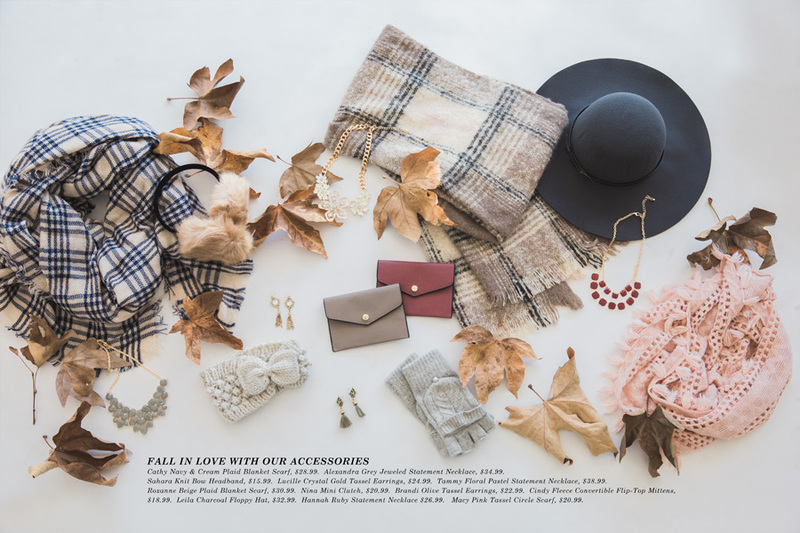 From tassel earrings to plaid scarves, and from cozy earmuffs to chic new wallets, we’ve got everything to keep you stylish and warm! We’ve got something sweet with our Hannah Off the Shoulder Mocha Long Sleeve Top paired with our classic Emily Lace Midi Skirt for a date night outfit we promise you’ll feel feminine and flirty wearing. We can’t get enough of our Mia Polka Dot Cream Blouse, especially after pairing it with our number one Fall staple: our Rosalie Denim Button Midi Skirt! This is an outfit that brings out the best parts of Fall, whether you’re wearing it to the pumpkin patch with the kids or out to coffee with your girlfriends for a seasonal pumpkin spice latte (they’re our guilty pleasures too!). And it gets even better with our favorite Fall color: burgundy! We made sure to stock up on all styles of pretty burgundy pieces like our Luna Strappy Burgundy Camisole, our Angela Burgundy Maxi Dress, our Becca Burgundy Knit Cardigan, and our Corinne Burgundy Pleated Midi Skirt. 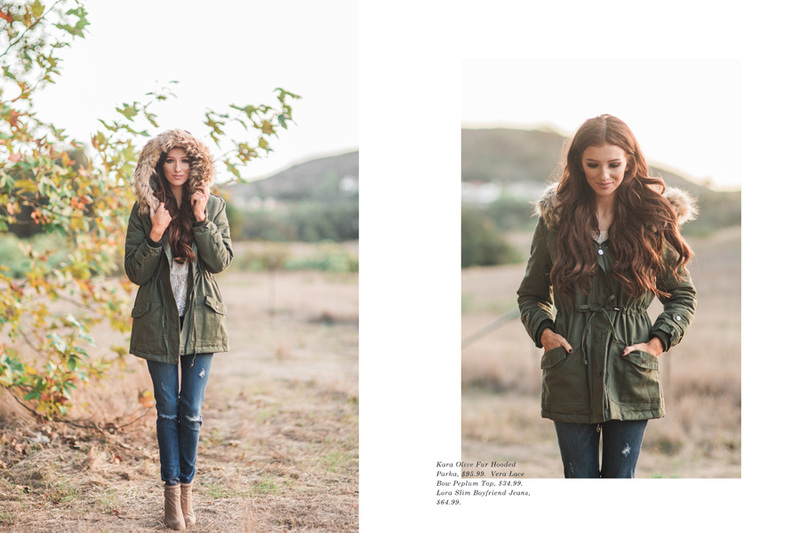 We even have the olive parka of your dreams! Our Kara Olive Fur Hooded Parka has a drawstring waist, a removable fur lining, and is quilted on the inside to keep you warm and cozy throughout the season. If you love these looks as much as we do, head over to the site and check out our new collection and Lookbook and shop these amazing Fall outfits! See the entire FALL IN LOVE LOOKBOOK HERE. 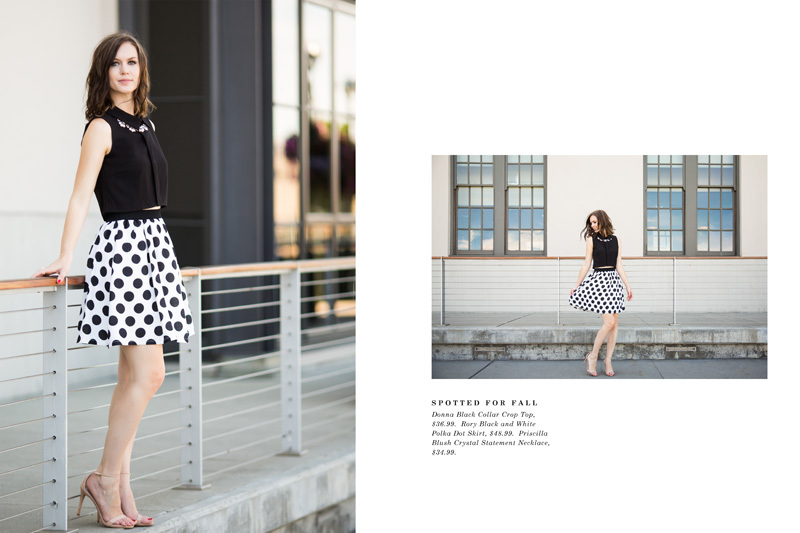 Our Summer Fun Lookbook is now released and we are more than excited to share all of the new styles we have in store. We are basking in the midst of summer with comfy, casual, and cute looks perfect for days at the beach, picnics at the park, and any other warm weather festivities. In our eyes, nothing says fun in the sun better than printed sundresses paired with floppy hats to complete the look. We even have a new polka dot tote that will hold all of your essentials: (water, sunblock, sunglasses, check!). It’s the little details that matter most when dressing for higher temperatures whether it’s the scallop trim on the back of our Keely White Scallop Crop Top or the bell shaped sleeves on our Audra Cream Lace Romper. Another of our new favorites is our Irina Strapless Floral Maxi Dress that’s the perfect bikini cover-up for lounging at the beach. If you like what you see in our summer lookbook, join us for a fun day of beauty, shopping and mimosas and check out our items in person! Gather your girlfriends and come celebrate summer with Morning Lavender, Katie B Cosmetics and Handmade by Sara Kim with our Girls Day Out Pop-up Party on Sunday, July 26th. RSVP and find out more details on our Facebook page!